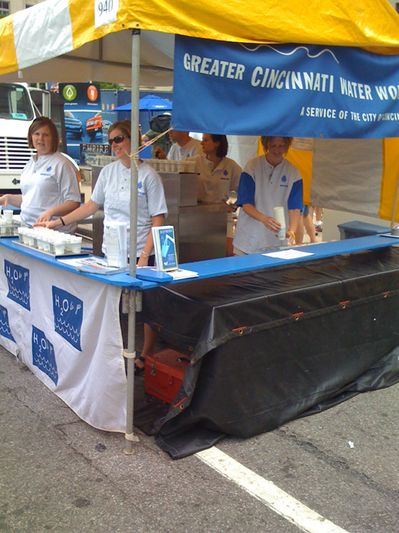 Here’s a real taste of Cincinnati, good old H20 from the Cincinnati Water Works. 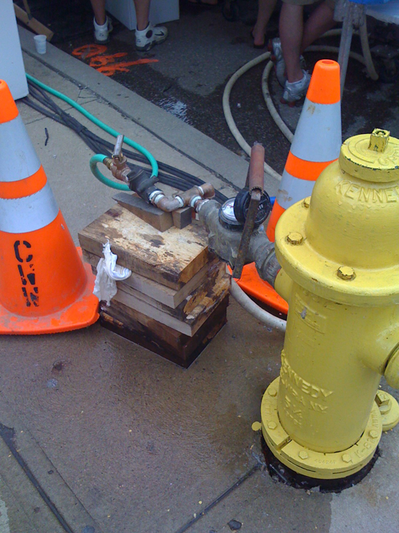 Mmmmm, fresh Cincinnati water freshly pumped from a fire hydrant! Tasty! Members of Russia’s Communist Party are calling for a nationwide boycott of the new Indiana Jones movie, saying it aims to undermine communist ideology and distort history. Let’s see, the movie’s about a search for a crystal skull “endowed with mystic powers”. I’m sure Spielberg and Lucas were worried about making sure their movie was historically correct. This movie’s clearly made for an American audience, where the good guys (us) win and the bad guys (Nazi, Communists) lose. Still on my list of places to visit. Jeff Ruby said Friday he is closing his Newport on the Levee restaurant, Jeff Ruby’s Tropicana, June 30 because he is being sued over its name. Tropicana Entertainment, the Crestview Hills-based gaming company owned by Bill Yung III, filed the lawsuit a year ago. The company has since gone bankrupt and lost the gambling license for its Tropicana casino in Atlantic City, but it has not dropped the suit. I can’t say that I’m totally surprised by this news. It explains why the Tropicana was looking pretty ratty lately. I think the suit is part of the reason for closing, a loss of interest another. Jeff Ruby could have easily changed the name to “Jeff Ruby’s” and kept it open. Even though he talks about the decor, it is definitely nothing special. But, Jeff Ruby’s excited about his latest restaurant venture with Bootsy Collins, Bootsy-Ruby’s and it’s clear his focus is over there. This seems like a pretty glib statement for Hillary to make. She later said that it was just a historical reference to how RFK continued to campaign through June until his assassination. Hillary’s correct that RFK campaigned through June, but he didn’t even enter the race until March 16th! Four days after the first primary of New Hampshire, March 12th. In 1968 there were still major primaries like California to win. In 2008, there aren’t any big prizes left to win. Obama, has a majority of the pledged delegates. I apologize for the comments section not working properly this last week. I’ve been flooded with comment spam. I’ve had spam issues before, but this time the number of spam comments started affecting the server load. I’ve added a reCaptcha which asks you to type in the two words to prove you’re human. But, how are you helping to digitize old texts? Books have been scanned, but the computer’s OCR sometimes can’t recognize the words like a human can. 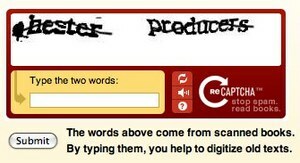 reCaptcha uses these digitized words as the the two words that you have to type in. How many times have you heard the commercial on the radio of Todd Davis, pitching his Lifelock ID protection service by giving out his Social Security number on the web? I always wondered if people rise up to the challenge of stealing his identity for fun. It turns out, people have. Moral of the story, don’t give hackers and criminals a challenge! 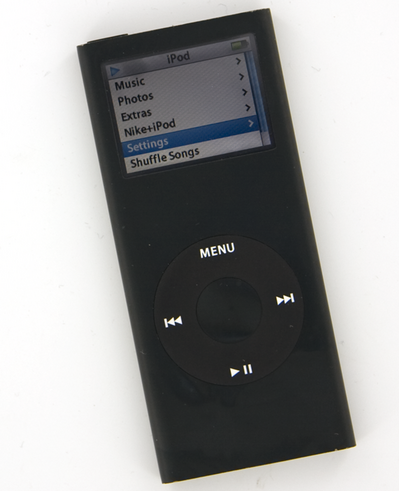 The beauty of the iPod Nano is its tiny size, but the tradeoff in smallness is that it’s a lot easier to misplace. I’ve had it disappear into a fold of my computer bag for several weeks before I found it again. That time I really thought I lost it so I purchased another from Apple. Last week, I lost my first iPod Nano again. I checked my bag but it wasn’t in the secret hiding spot as where I lost it before. I was annoyed at misplacing it, but having a spare Nano means that find the first one wasn’t a pressing issue. Well, Saturday it popped up, while I was taking my clothes out of the washer. It must have gotten stuck in there with some gym clothes. If you ever drop an electronic device in the washer or the toilet, the first thing you need to do is NOT turn it on to see if it works. Repeat. Do not turn it on. Dry the thing off as quickly as you can with a hair dryer or heater if possible. If you can open it to dry, the better. Even after you’ve finished drying, it you should probably let it sit for a few more days to make sure it’s completely dry. Mine was in a neoprene case, but when I took it out of the case, it was definitely wet. After some swearing and kicking of myself, I wiped the iPod Nano down, but since I don’t own a hair dryer, I ended up just putting it in a sunny window for about 5 days. Today, I decided it was time to see if it worked, plus it would give me material for my blog this morning. I plugged it into the iPod dock and immediately the Apple logo showed up. It worked! That’s the good news. The bad, there’s a couple of dark splotches on the edges of the screen. You can see a blob next to the play arrow on the top left of the screen. Maybe, those will go away over time, but if it doesn’t, it’s not too bad and I can live with it. UPDATE: A few days after the picture above, the iPod completely dried out and there are no splotches on the screen. The iPod takes a bath and looks like new! American Airlines, the nation’s largest air carrier, said Wednesday that it would begin charging $15 for many passengers to check their first bag, eliminating a free service that passengers in the United States have come to expect during the modern jet era. I wonder how long it’ll take for the other airlines to follow suit? If they do, it’ll just make flying coach that much more painful as everyone will try carrying on their bag on the plane. Leonard and I didn’t get along. On the set he remained aloof. He claimed this was partly to maintain the character’s integrity. 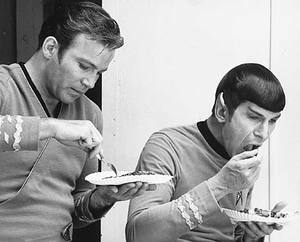 Spock was an outsider and Leonard worried if he got too friendly with the cast he might close that distance.